We are now raising all three AKC recognized colors of the Labrador Retriever! We have black, chocolate, and yellow! The yellow labs range in shade from a darker yellow to a white coat. We have all shades from time to time but mostly have the very light yellow/ivory/white coats. Molly and Addison are our white females and their puppies are a very white and beautiful! Check to see when our next litter will be born!! Call or text for puppy info at 270-585-1307!! We are required to charge a 6% sales tax on each puppy. registration. Ask us about full vs limited registration. We had a chocolate litter born on March 12th! Parents are Chloe and DeeJay! We are now taking $100 deposits to hold. There are 5 females and 3 males available! A past Molly/Murray white litter! A past fox red litter! A past litter of Molly/Murray puppies!!! 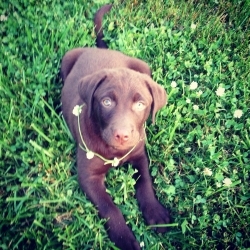 Past chocolate puppy pics! All of these sweet puppies are now in the forever homes! A past liter of Molly/Murray! Watch this amazing Youtube video of Addie Rose! Addie lives with Bob and Ellen Young in Hebron, KY! Bob & Addie enjoy many adventures together! She is so very well trained and athletic! Her mom is Harley and Addie is amazing as well as beautiful! 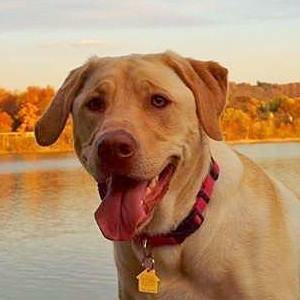 If you love labs take a few minutes and watch this awesome video! Just click on the link below to watch! We offer crates! It is a large 42 inch crate with a divider so you can adjust as your puppy grows! It has three doors and is the only crate your puppy will ever need. It sells for $70 and we can have it ready for you when you pick up your puppy! Let us know if are interested in getting a crate! We offer a Cuddle Pal! These soft toys can be microwaved for warmth and is rubbed on mom and packed in cedar shaving! This is a great transition toy that offers comfort to your new puppy! These sell for $10! We feed Diamond Puppy Food and highly recommend that you keep your puppy on Diamond Puppy Food! We now have bags of Diamond Puppy Food available for you to purchase and take with you when you leave with your new puppy! The cost is $30. Let us know if you want a bag and we will have it ready for you when you pick up your new puppy! Here are a few more pics of a past Molly/Murray litter! Call or text today for information on putting down a deposit for a puppy like these adorable white lab puppies! We will deliver or meet you with your new puppy for 80 cents a mile for trips within 150 miles. For trips 150-500 miles the cost is $0.75 per mile!! Please let us know if you are interested in our delivery service! See each individual puppy page for more pictures! Some pics of past puppies! Murray comes to us from Stephanie Towles of White Labradors of the Bluegrass in Lexington, KY.
We are offering a puppy cuddle pal for $10! It can be warmed in the microwave for heat and I will put it in with mom and littermates to pick up their scent. It can be helpful for the first few nights in their new homes! Let me know if you want one and I can have it ready when you pick up your new puppy! We also offer a crate for your new puppy. This crate has a divider that grows with your puppy. These sell for $70. They come in black, and white! Let us know if you want to purchase a crate and we will have it ready for you! This crate is large enough and will be the only crate that your new friend will ever need!